Dave Maass filed this request with the Delaware County Sheriff of Delaware County, OH. Attached is the Delaware County Sheriff's Office policy regarding ALPR data and the MOU with the Franklin County Sheriff's Office. The Delaware County Sheriff's Office does not hold these records, per the policy and MOU. Please contact the Franklin County Sheriff's Office for further information regarding your additional request for statistics from 2016 and 2017. DISCLAIMER NOTICE This e-mail, together with any attachments or files transmitted with it, may contain confidential information belonging to the sender, or constitute non-public information that is not subject to disclosure under O.R.C. Section 149.43, Ohio's Public Records Act. Additionally, if the sender is an employee of the Delaware County, Ohio Prosecuting Attorney's Office, this e-mail, together with any attachments or files transmitted with it, may contain information that is protected by the attorney-client privilege or other applicable privileges. The information in this e-mail is intended solely for the use of the individual or entity to whom it is addressed. If you are not the named addressee, you should not disseminate, distribute, or copy this e-mail. If you have received this e-mail in error, please immediately notify the sender by e-mail and delete this e-mail from your system. If you are not the intended recipient, do not disclose, copy, distribute, or re-distribute this e-mail or take any action in reliance on the contents of the information contained in this e-mail. Nothing contained in this disclaimer notice by itself exempts, nor should it be interpreted to by itself exempt, this e-mail from disclosure as a public record upon the proper submission of a request for public records pursuant to O.R.C. Section 149.43, Ohio's Public Records Act. Thank you for the quick response and the records. According to multiple documents obtained from other agencies, Delaware County Sheriff's Office has its own Vigilant Solutions account that is separate from the MOU. I respectfully urge you to please reassess whether there are responsive records. The contract Delaware County Sheriff’s Office has through Vigilant Services is for a subscription to a searchable nationwide database. We do not add information to or share information from the database, and do not hold those records. Thank you for the quick response. 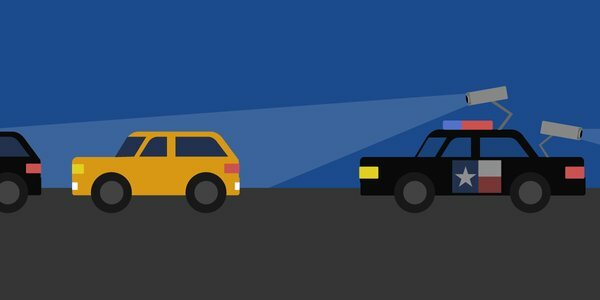 Your Vigilant Account data sharing report will indicate which agencies' ALPR data you have access to as part of the nationwide network. This is the information we are seeking, and it is contained and easily exportable through your Vigilant system. Other agencies that have provided record have line-items showing Delaware County Sheriff on the receiving end of their data. Again, we urge you to provide this information. You have requested records which do not document a function of the Delaware County Sheriff’s Office. State ex rel. Dispatch Printing Co. v. Johnson, 106 Ohio St.3d 160, 2005-Ohio-4384. The Delaware County Sheriff’s Office is not obligated to search an electronic database and create a record to fulfill a public records request. State ex rel. White v. Goldsberry, 85 Ohio St.3d 153, 154 (1999). The Delaware County Sheriff’s Office does not keep any of the records in the manner in which you have requested them. The information you seek, if kept at all, would be kept with the criminal investigative file, which is organized by case number, suspect’s name, and date. Thus, your request is also an overly broad, improper request. State ex rel. Zauderer v. Joseph, 62 Ohio App.3d 752 (10th Dist. 1989). You may resubmit your request with this criteria in mind. Thank you again for your quick response. Just for clarification, I am seeking data that is stored within your database, however it is not organized by a criminal file. Rather, Vigilant Solutions has made it very simple for your office to export the requested data, as explained in the request. The information you have requested is not accessible through the software version we utilize. You are welcome to inspect, in person, the inquiry software that we use, Monday through Friday 8:00 a.m. to 4:00 p.m. Thank you for the offer. Unfortunately, I will not be able to visit in person. If DCSO is using Vigilant Solutions' LEARN system, then your agency has already paid for the technology to export the information I am seeking. We've had more than 50 agencies provide this information to us in an quick and efficient manner. If you are not using LEARN, then that would close my request.